My pepper plant looks pathetic. 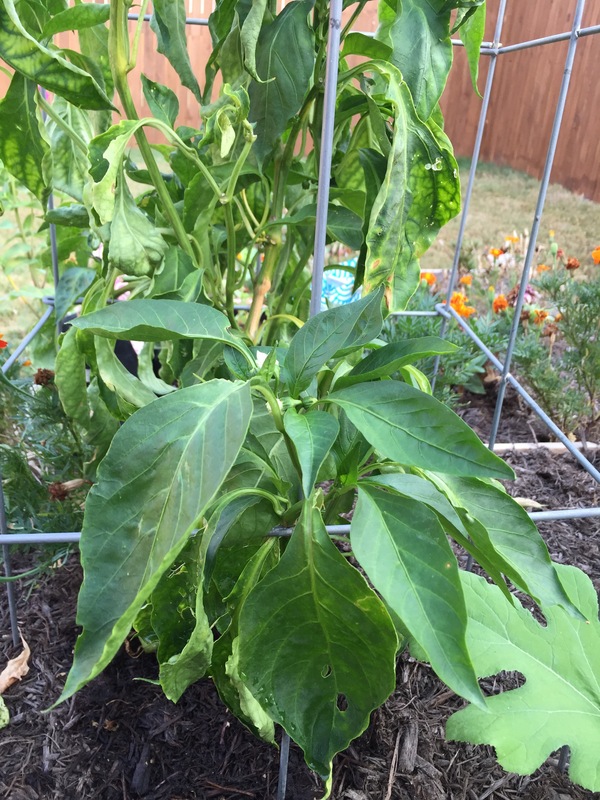 It has for quite awhile now, but I keep watering it because the peppers were still growing and the wilting leaves didn’t seem to be an indication that the peppers wouldn’t keep growing. So imagine my surprise when I noticed one offshoot whose leaves don’t look like they’ve spent the day (er, weeks) under sunny skies in 90-something-degree heat. 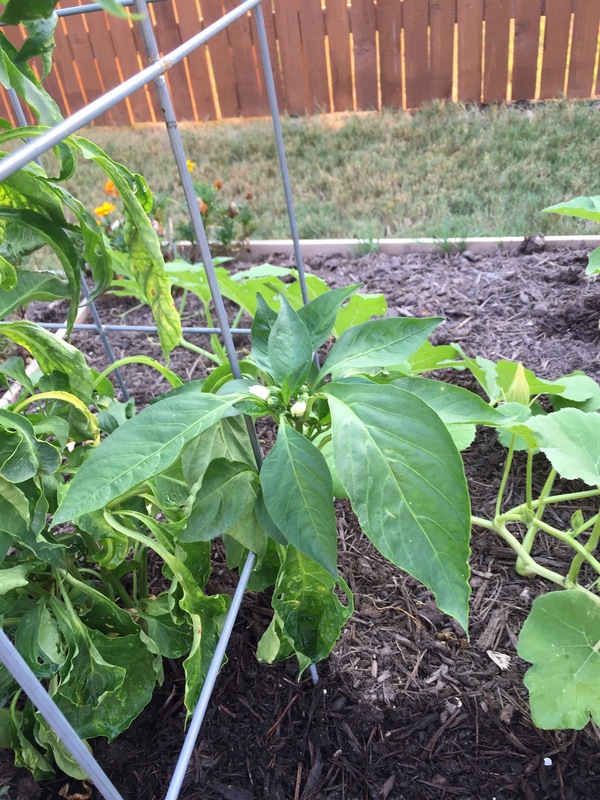 I pretty much had expected that the handful of peppers growing on the plant would be the last for the summer, but flowers on the offshoot indicate maybe I doomed it too early. Whatever. I’ll take more fresh green peppers. Hopefully the plant will survive being crowded by Wanda, my wandering pumpkin that keeps creeping more and more each day. 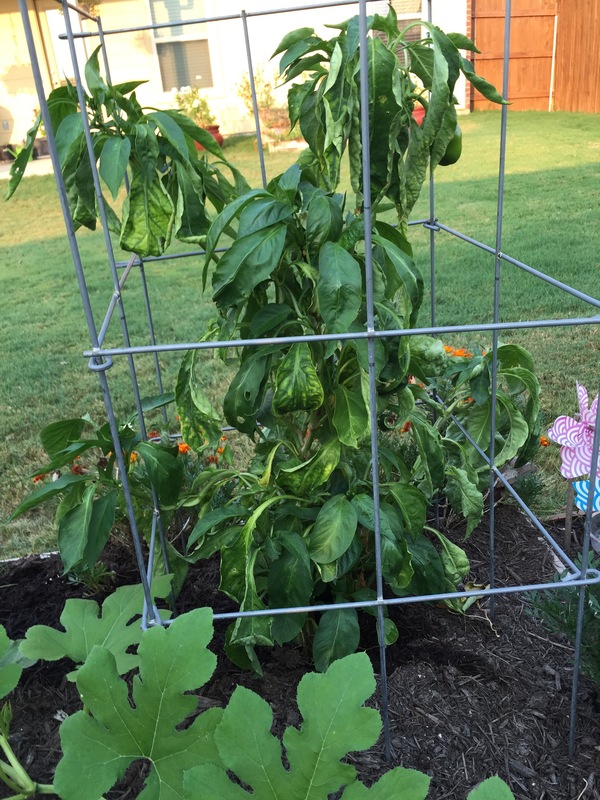 This entry was posted in Gardening and tagged peppers, pumpkins on August 28, 2015 by Julie Riebe.